THE SNP is to demand control of the Commons Scottish affairs committee and a rewrite of the rules to allow it to hold a majority of the places on it. Westminster rules state that all select committees should reflect the balance of MPs in the whole House, which would mean the Tories having a majority on the Scottish affairs committee with Labour holding most of the other seats, despite each party having only one Scottish MP. The committee can’t be dominated by [last remaining Scottish Labour MP] Ian Murray. But deputy SNP leader Stewart Hosie said the committee “needs to reflect the new realities” of politics, with the SNP holding 56 of the 59 Scottish seats. The SNP group is to have its first formal meeting in Westminster to discuss which committees they want, with the party entitled to at least two chairmanships and seats on almost all the committees as a result of being the third biggest party in the Commons. 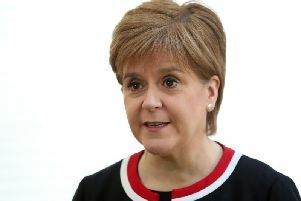 It is understood Commons authorities have already accepted the SNP should be entitled to two questions at Prime Ministers Questions each week as a result of being the third biggest party. The questions are expected to be asked by the party’s Westminster leader, Angus Robertson, the MP for Moray, rather than by Mr Hosie or former first minister Alex Salmond. In the previous parliament, the Liberal Democrats chaired two committees and these are likely to pass to the SNP, which will have Scottish affairs as one of them. It is understood the SNP will not want to take part in committees that affect only England, and they will not be allowed to chair the Treasury committee, which goes to the Tories as the governing party, or the public accounts committee, which goes to Labour as the official Opposition. That leaves committees such as defence, foreign affairs, constitutional reform, international development or home affairs as options for the second chairmanship. Mr Hosie said the SNP group would make decisions about committees and portfolios at its meeting on Tuesday. But he insisted there had to be a rethink on the Scottish affairs committee, which in the last parliament was dominated by Labour and used as a platform by former chairman Ian Davidson, who lost his Glasgow South West seat last week, to attack Scottish Nationalism during the independence debate.